Not a bad loot to start off this year with. To start off on the figure side I got straight front the front lines in the war against pants Miyafuji Yoshika from Strike Witches. From the epilogue of chapter of Persona 3: FES comes Metis, Aigis' little sister. I talked about the Persona franchise a bit last year. 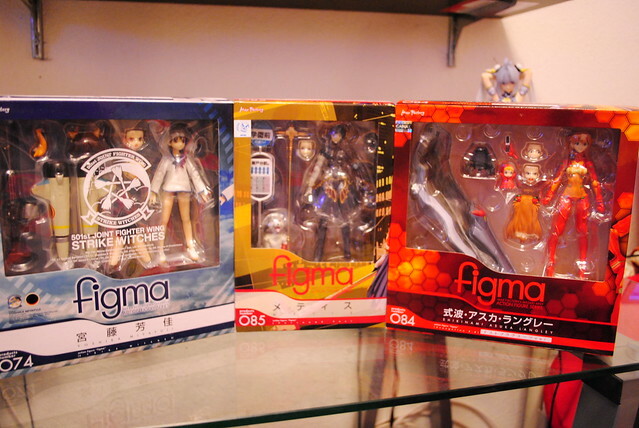 Finally there is the well known Asuka in her lovely test type plug suit. While not a big fan of Evangelion I still liked both Asuka and Rei, specially Asuka after her display in the movies with the finale. 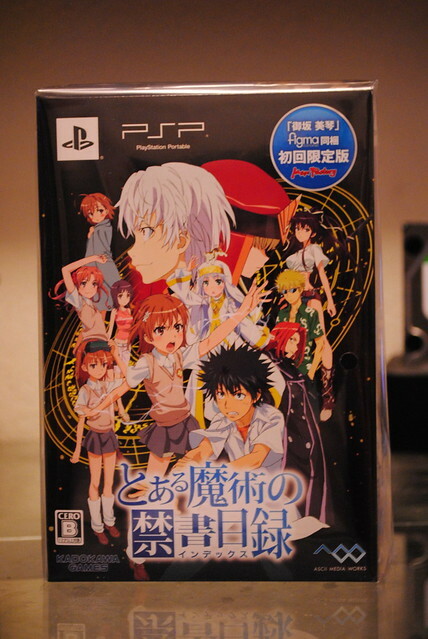 Also picked up the figma version of Biri Biri that just so happens comes with a game as an extra. From what I seen the game is a decent fighting game. 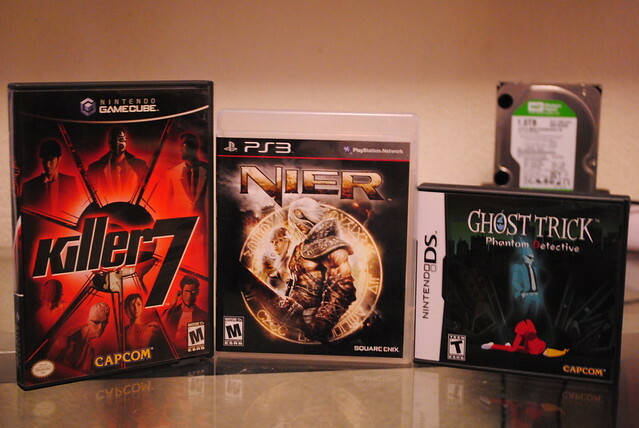 On the gaming side I picked up Killer 7 from the eccentric Suda 51, the man responsible of the recent No More Heroes games on the Wii. I picked up Nier an action RPG that was released last year that has become a cult hit. I been hearing good feedback about the game from various sources so I thought to pick it up when I saw it on sale for a mere $15. Ghost Trick is a game I had been looking forward for a while, after all it comes from the people responsible for the popular Ace Attorney series. Interesting game play mechanics, full of style and clever dialogue just as the afformentioned Ace Attorney games and I was sold on it. 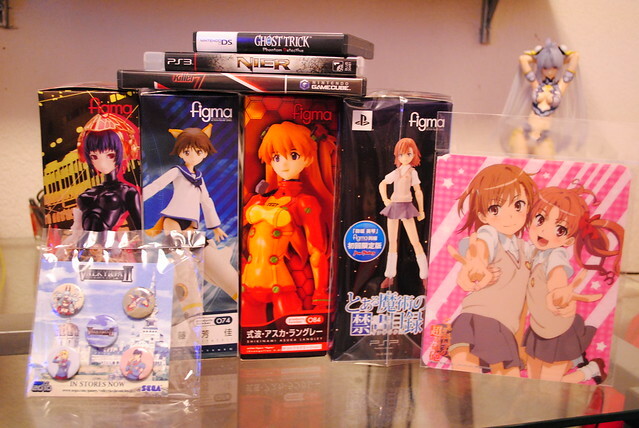 I talked about the Valkyria Chronicle pins I got as a prize from Radiant already. 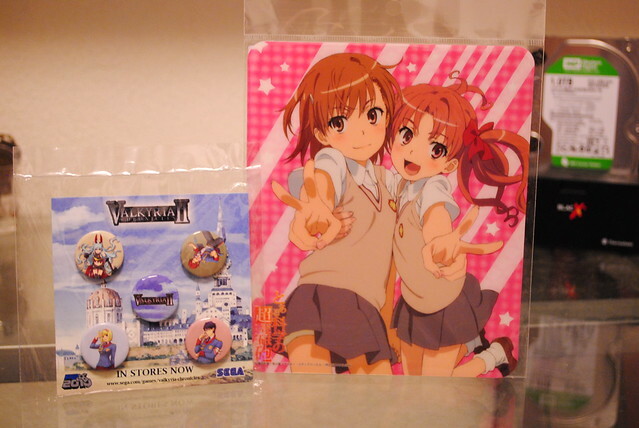 The last item is a mouse pad featuring Biri Biri and Kuroko, I must say though, I'm a bit disappointed. This mouse pad is way smaller than I thought it would be and also way thinner than I thought it would be. 1mm, that's how thick it is. Doesn't feel like a mouse pad at all. There you have it, the first loot to start off 2011's loots.